Porter Wright is pleased to add Thomas Shipley Jones as a new litigation partner in the firm’s Pittsburgh office. Tom brings 25 years of experience in complex corporate litigation and securities litigation, as well as arbitration and trial experience gained from serving a range of global and domestic clients for large international law firms. “We are pleased to welcome Tom to our growing team, and I look forward to championing his diverse capabilities and experience,” said Ellen Freeman, partner-in-charge of the firm’s Pittsburgh office. A seasoned litigator, Tom has served as the lead or co-lead attorney in a number of trial matters, arbitrations and evidentiary hearings. 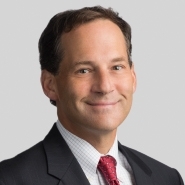 He has served as counsel in dozens of litigation matters, including such areas as corporate acquisition, securities fraud, shareholder and derivative actions, energy, appellate, qui tam, toxic torts, valuation and disposition of securities and commercial disputes. “Tom adds to our bench strength across all seven offices and brings exceptional experience as we continue to expand our capabilities in the Western Pennsylvania market,” said Bob Tannous, Porter Wright’s Managing Partner. Tom has represented clients across industries, including education, energy, logistics, telecommunications, manufacturing, coatings, aviation and transportation. He also has conducted internal investigations incident to allegations of corporate misconduct, applied novel science extensively in the courtroom and served as counsel of record in appeals in the U.S. Supreme Court and in multiple United States Courts of Appeals. Admitted to practice in Pennsylvania and California, Tom received his law degree from The College of William and Mary, Marshall Wythe School of Law after completing his undergraduate degree also from The College of William and Mary.